Doctor Who travels to an abandoned 51st century library in response to a distress call, and soon joined by Professor River Song and a gang of dim-witted explorers. Like a child-friendly version of Alien (in a library), the unimportant characters are picked off one-by-one, until inevitably, the library begins a countdown to self-destruction. Unfortunately, the Library's library features some of the less-attractive features of sci-fi too - a badly-dressed man more comfortable with technology than people, a ridiculous story, an objectification of women, a zany cast of paper-thin characters with odd names (Strackman Lux), planetary-sized plot-holes, childishness, knowingness. And a last-minute rabbit-from-hat technological solution to an imminent planetary catastrophe. These easy catechisms are, I understand, part of the programme's ironic charm. 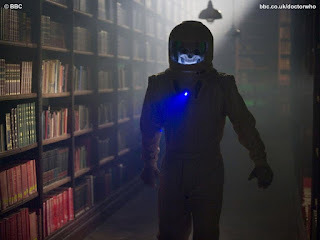 Dr Who makes millions for the non-profit BBC, but the production values of "Silence in the Library" and "Forest of the Dead" suggest a certain penny-pinchingness. 'The Library' features a common-or-garden pointy-buildings cityscape, its library a mix of half-empty bookcases, computer-generated stacks, and a collection of reading rooms which are obviously the same reading room shot from different angles. The monsters of the week are the Vashta Nerada: shadow-inhabiting, flesh-eating, microscopica. Invisible baddies, lots of shadows, a set consisting of a few books - a producer's dream. 'The Library' is ridiculous. Just think about it - a library the size of a planet made up of hundreds of millions of skyscrapers each containing multiple reading rooms. It is simply impractical. Librarian fans of 'The Doctor' will doubtless overlook these absurdities and the creaking, incoherent storyline. There's something of the librarian about this odd superhero - he's a geek and proud, he knows lots of arcane stuff, he's very clever, and despite acting like a prepubescent boy and looking like a mop in a badly-fitting suit, he appears to be a babe magnet. He's one of those English eccentrics, par excellence. I can't stand him. I wish people cared more about their real libraries than their imagined ones. For fifty years, many of Britain's great Victorian libraries have been closing down - nowadays cafe- and community-centre-style public libraries are in vogue, as well-meaning local politicians and managerialist public librarians seek to answer falling library visits with democratized (i.e. commercialized) spaces. So it was with Swansea's beautiful central library, in which the episodes were filmed, opened by the great reformist statesman W.E. Gladstone in 1887, closed in November 2007. The library was reopened in the 'New Civic Centre' by the Rt. Worshipful the Lord Mayor Cllr. Susan Waller in March 2008. Thankfully, the old building was taken over by a university, so didn't get turned into a Jamie Oliver restaurant. 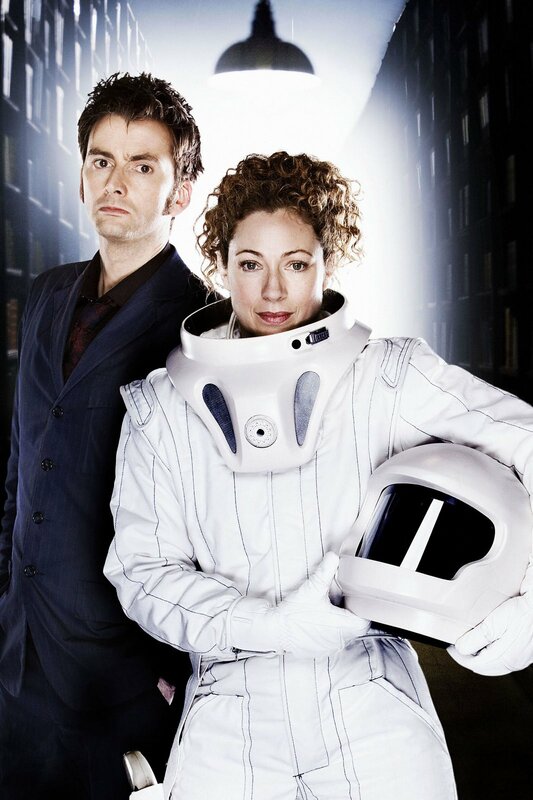 Doctor Who shares with contemporary Britain, and its contemporary public libraries, a certain metropolitan blandness, a preference for style over substance, and a rapid-fire postmodernity over reading-room thoughtfulness. Colin, you should also look at the episode Tooth and Claw for positive library promotion. Hmm, not sure I have the mental strength. After two episodes I think I've already had my lifetime's fill. But in the interests of research, I may now have to watch it.